The Deputy Ambassador, Netherlands Embassy, Lagos, Mr Michel Deelen, has said exportation of agricultural raw materials from Nigeria to European Union countries, the United States of America and other developed economies is economically senseless when the country struggles with job creation, industrialisation and economic cycles of booms and recessions. The diplomat, while speaking at the AgraInnovate West Africa’s exhibition lecture at Landmark Event Centre, Victoria Island, in Lagos yesterday, said Nigeria could easily become the largest producer of tomato in the world considering that it has one of the most favourable conditions for growing it. This, he added, could be done if the country would work on closing the productivity gaps, improve on post-harvest management, embrace modern production technologies, use improved varieties as planting materials and ultimately process the products rather than export or allow them to waste. 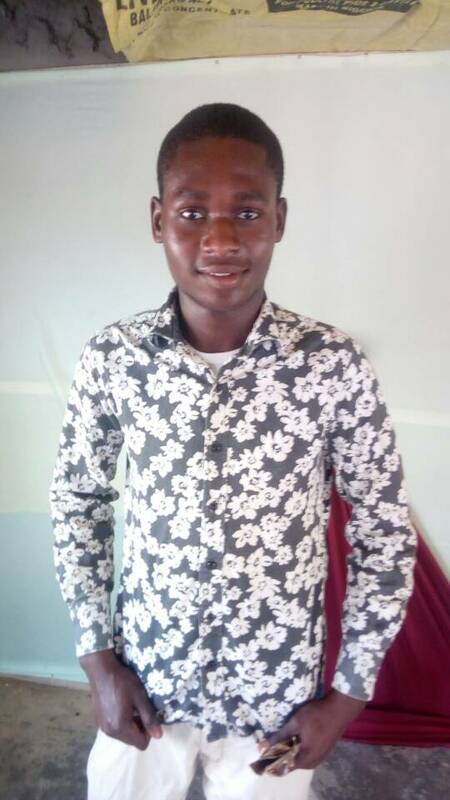 Deelen emphasised that Nigerian youths could play critical and gap-closing roles in agricultural processing, packaging and marketing. He added that price stability is required as an incentive to motivate farmers to intensify production, invest more in their farming activities as businesses and forecast their profitability. The deputy ambassador also revealed the agro-economic activities of Netherlands in Nigeria, including setting up potato production and value chain development platforms in Jos, Plateau State; cassava and soy bean value addition; poultry and dairy production and processing and horticultural value chain development. Small scale farmers, he insisted, are the base in the chain development, and they should be motivated and equipped to practise agriculture as a business rather than a means of survival. He said Netherlands aims to be the Nigeria’s first in terms of agricultural partnership, bilateral agro-economic relationship and technology transfer. 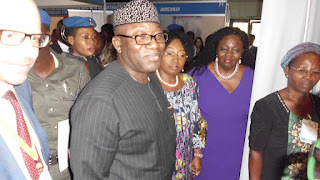 Ekiti State governor, Dr Kayoede Fayemi, speaking on agricultural financing options at the exhibition, said based on the fact that Nigeria’s population growth rate is at 2.6 per cent yearly, the country would be populated by over 400 million people by 2050. This, he admitted, requires that adequate investments be made in the sector to match food production with the population growth rate. Without adequate investments in the sector, Fayemi said, the objectives of food sufficiency or security, employment generation, agricultural industrialisation and economic diversification would become a mirage. He called for an eclectic approach to agricultural financing, championed by the private sector operators and financial institutions, with mind-blowing innovations. He said his government has decided to use Ekiti state not only as a model in the education sector, but also in the all-important food production sector, urging agro-allied investors to make the state their investment destination. Similarly, a former acting Deputy Governor of the Central Bank of Nigeria (CBN), Mrs Sarah Alade, who disclosed that in 2016 alone, Nigeria spent $22 billion on food importation, said reliance on food and raw material importation in a country blessed with huge agricultural resources is not only absurd but also counter-productive. “Production is just one aspect in the agricultural value chains. Others are processing, packaging, branding and marketing. “Financial assistance to a few actors in the value chains is counter-productive,” Alade added, calling for massive investments in the sector. 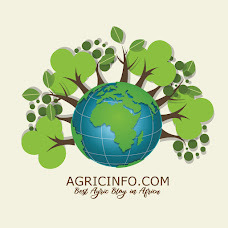 The Programme Director of AgraInnovate, organiser of the exhibition, Mrs Folusho Olaniyan, said the objectives of the show is to bring solution providers, technology developers, financial institutions, government and private sector operators and farmers together synchronically to boost agricultural productivity, networking and effective food chain development in Nigeria and West Africa. Similarly, the Regional Coordinator of the Cassava: Adding Value for Africa (C:AVA), Professor Kolawole Adebayo, while shedding light on the activities of the C:AVA project, said it had contributed significantly to the industrialisation of the root crop and the roles it plays in the economic diversification of the country. He said Nigeria has been able to fine-tune processing equipment and technologies, and export the same to other African countries. Stakeholders said though technologies have been developed in the cassava value chains, the economics of the chains remain retarded due to negative attitude towards cassava flour, poor power supply, slow mechanisation of farm operations and the subsequent results of low productivity of farmer and high average cost of production.